A team of Penn State engineers believe they have a way to create the structural framework for growing living tissue using an off-the-shelf 3-D printer. The researchers’ report that their aim is to create a novel, low-cost and efficient method to fabricate high-resolution and repeatable 3-D polymer fibre patterns on nonconductive materials for tissue engineering with available hobbyist-grade 3-D printers. The method they use is a combination of 3-D printing and electrospinning, a method that uses an electric charge to spin nanometer threads from either a polymer melt or solution. Currently, nearly all complex transplant tissues, from hearts and kidneys to tendons, come from living or dead donors. The researchers are looking for a way to grow replacement tissues reliably using inexpensive methods. 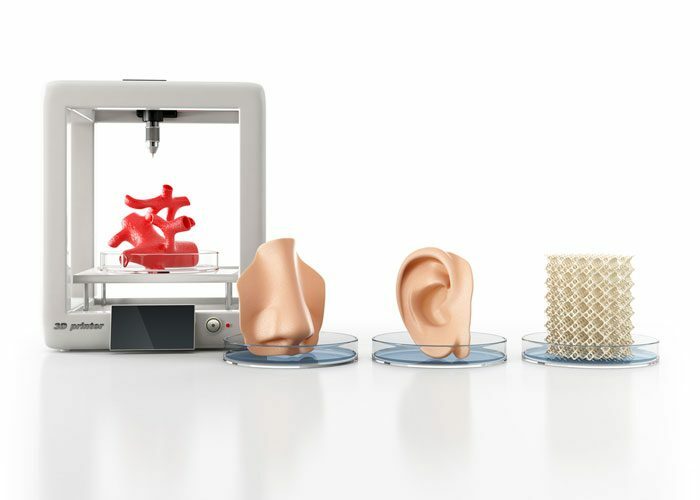 The combination of 3-D printing and electrospinning to produce a scaffold for tissue engineering might also enable the production of combined muscles and tendons, or tendons and cartilage, for example. The researchers’ apparatus uses the electro-spinner to replace the extruder nozzle on the 3-D printer. The printer can deposit a precise pattern of fibres in three dimensions to form a scaffold in a hydrogel on which cells can grow. Once the tissue has grown sufficiently, the scaffolding can be dissolved, leaving only a structured tissue appropriate for use.